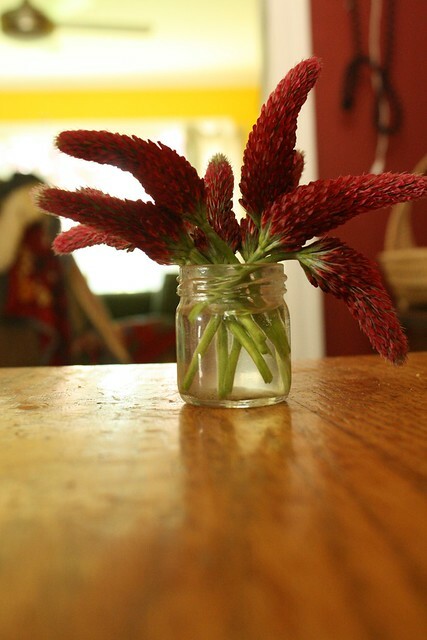 colden picked a bouquet of crimson clover yesterday, and asked me to put them in water. i did. 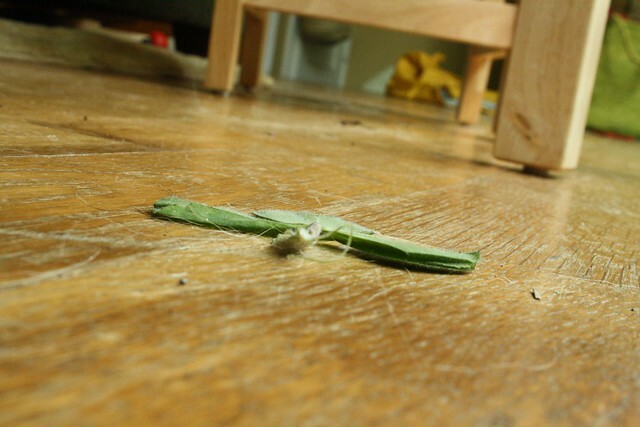 then he spread them out all over the table, took a sprig to the front window, and removed its leaves. 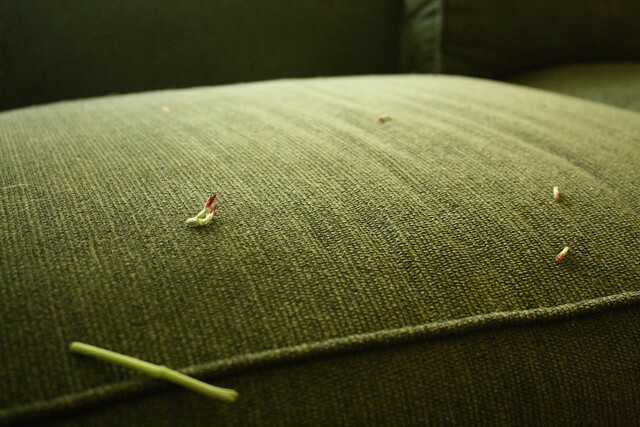 he also dissected some on the couch (and in the bedroom on the bed). and he put a flower in azalia's pocket too. i mostly stayed out of it. at the end of the day, he returned the flowers to the table and arranged them in their jar again. lovely. have you visited erin's imagination in action flickr pool? erin created this as a way of looking at messes differently and appreciating our children's creativity. i have been enjoying capturing images to contribute, and seeing other imaginative creations! p.s. be sure to come back tomorrow for an exciting giveaway!